The first Natural Bread shop and café opened in Eynsham in 2008, followed by an additional shop and café in Woodstock in 2009 and the flagship premises in Oxford’s Little Clarendon Street in 2013. Add to that a successful wholesale business supplying breads, pastries and cakes to restaurants, cafés & stockists across Oxfordshire and life quickly became very busy for Claire and William. A wonderful selection of breads, including the signature sourdough range made using traditional, slow fermentation techniques, resulting in bread with real rustic charm. 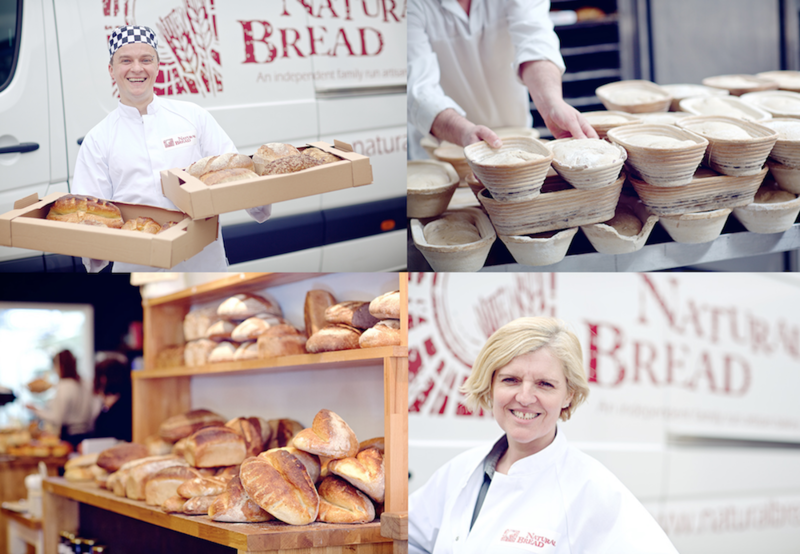 The Natural Bread team is proud to make wonderful breads, pastries, cakes and viennoiserie by hand, from scratch, fresh every day in their Botley bakery without any additives, preservatives, enzymes, improvers, or stabilisers. Bread bought via Ten Mile Menu is delivered at 4am on the day you receive it! 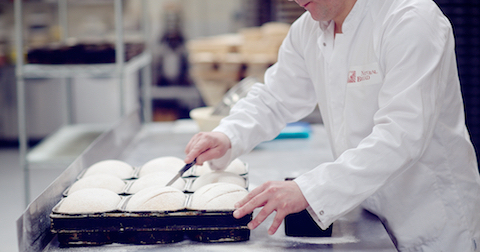 Click here to view the range of sourdough available for order this week. You can count the ingredients in the signature Natural sourdough breads on one hand: locally milled flour, sourdough starter, water, salt and time. While other bakeries might use yeast to get their breads to rise, Natural Bread use traditional slow fermentation techniques letting the sourdough starter do its job over 48 hours – this is what gives the bread its really rustic charm. And there’s another good reason for taking time to make the bread. 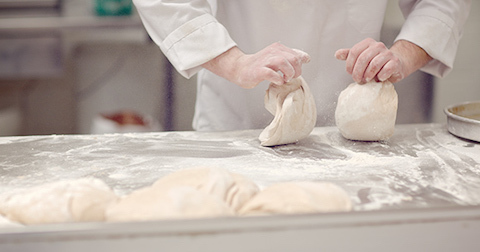 The bakers knead rather than stir the dough (stirring is how most processed breads are made). The kneading takes longer and requires a lot of skill, but it means that many people who have a low tolerance to gluten and high levels of yeast can enjoy these breads, as they are more easily digestible when made in this way.